The Nocturnal Times sat down with acclaimed DJ and multi-talented producer Andrew Rayel ahead of his performance at the Ultra Music Festival Megastructure. Returning to the notorious structure, which annually hosts Armin van Buuren’s globally renowned A State of Trance radio show, Rayel joined a slew of heavy-hitters for the 2015 broadcast. Being selected as one of the talented acts for yearly ASOT live event, which is broadcasted to millions of listeners worldwide, is quite an accomplishment. Passion resonates from humble musician, who is eager for fans to hear his latest productions and remixes, and of course, to announce some major upcoming tour dates. Rayel recalls fond memories of his Find Your Harmony boat party experience during Miami Music Week 2015, where fellow Armada recording artist Ruben de Ronde joined him. The breakout phenomenon also discusses how the DJ calendar is different from everybody else and what the start of festival seasons actually means for DJs, their bookings, and new music. In 2014, Andrew released his highly anticipated full-length debut artist album “Find Your Harmony” on Armada Music, which received extremely positive critical acclaim. Famously recognized for his productions, remixes, and mash-ups, Rayel has also collaborated with some of the biggest names in dance music, including Armin van Buuren and Bobina. The Nocturnal Times: How did first begin exploring dance music and who were some of your earliest inspirations? Andrew Rayel: Well, the people that first inspired me most were Armin van Buuren, ATB because I used to listen to them back in the day when I was younger. When I was first starting to create my own melodies and didn’t know which direction I would choose, they would play a lot of Armin van Buuren and ATB on the radio. I immediately fell in love with their sound and their music so, that’s when I decided I wanted to create electronic music, trance music in particular. NocTimes: Another year at ASOT with Armin at ultra. What do you look forward to most about returning to Miami each year? Rayel: They say December is the end of the year for normal people. But for DJs they say that March is the end of our year for us. This is because after Ultra and Miami Music Week, everything really begins for us. We learn about future bookings, the promoters are here checking our your new music and your sets. So, this is basically the start of a new year for me. I came with a lot of new music including four new tracks that I’m looking forward to sharing and bringing that sound to everyone. NocTimes: Now that festival season is upon us, which other festivals will you be playing in the coming months that you’re looking forward to? Rayel: I’ll be playing EDC New York in May and maybe even other EDCs. I look forward to playing all of the big festivals, most of which the lineups haven’t been released for so I can’t really say too much. But I’ll definitely be playing more festivals this year than I did last year. NocTimes: What can you share about your Find Your Harmony boat party experience this year? Rayel: It was amazing! I’ve never done my own boat party before and I was so surprised that so many people showed up. I played a Find Your Harmony extended 3-hour set. It was nice to be able to play all of the tracks that I actually wanted because at a lot of festivals you only get one hour. There are so many songs and you have to pick the best ones and can’t really play all of the ones you really want. So, on the boat I got to play everything I wanted and everybody went crazy. It was a beautiful day and a great day for a boat party so; I look forward to hopefully doing another one again next year. NocTimes: You’ve had the opportunity to play a lot of different nightclubs in many different cities. What would you have are some of your favorites and why? Rayel: All of the clubs are pretty cool but there are a lot of differences. New City Gas in Montreal is closed now is a club that I really loved. Also, Ministry Of Sound in London really stands out because it’s incredibly amazing. There really are so many great clubs. When it comes to Asia, clubs like Zouk. I really try to enjoy every place because the fans are always different, the venue is different, and the experience is different. Rayel: Well, of course I’m thinking about it, and I’m sure there will eventually be a follow-up soon. We actually just finished up the remixes from my debut album and we will release a “Find Your Harmony” deluxe album. The new release will include all of the original extended versions, the new remixes, and a new track. The bonus track will be “We Bring The Love,” which will be my next single released in April. NocTimes: What would you say sets you apart from the rest? Rayel: Of course my sound first and foremost. I’m not sure if that’s too different than the others that always try to make special edits for their shows. I’ve never really played the same edit of songs because I try to bring people a new experience. They’re able to listen to the original tunes on the web so I try to bring them a new experience in my live shows. I want to bring something different, so I make crazy edits that sometimes have five songs in one, so that’s another thing. NocTimes: Which artists do you enjoy most when you’re not listening to dance? Rayel: I use a lot of classical music. I really enjoy Hans Zimmer, Klaus Badelt, and I love Chopin so definitely those three guys whose music I have on my phone. Rayel: First I would definitely said Armin because I’ve never actually played a long back-to-back set with him before. We’ve played a couple of songs before for fun but we’ve never actually done a long set so I think that would be one of my wishes, to do a back-to-back set with Armin. NocTimes: Are there any vocalists that come to mind that you would like to collaborate with? Rayel: I’ve been a big fan of Emma Hewitt for a long time and I would really love to do a track with her. We’re actually talking with her now about possibly doing a track together so hopefully my fans will be able to hear a new Andrew Rayel and Emma Hewitt track soon. NocTimes: Where do you hope to be five years from now? Rayel: I at least hope to be at the same level I’m at now. For every DJ, it is really important that they see their progress and keep all of their fans satisfied. I hope I’ll be bigger, more fans, and that my radio show will get bigger, pretty normal things. NocTimes: What do you have in store for the future of the radio show? Rayel: Well, I mean, we just started, we’re now at the 20th episode and it’s going absolutely amazing. Day by day we’re getting more promos and new tracks and after episode 50 we’re going to bring some new special things. So far, we’ve got the format and it’s going great. NocTimes: What can you share with readers of The Nocturnal Times about what’s to come for Andrew Rayel this year? Rayel: I’m definitely releasing four singles, and one of them I’ll be playing today. “Daylight” with Johnny Rose, which we’re filming the music video for now in Miami and I hope everyone will like it. I want to thank you and everyone for your support and hope to see you soon! 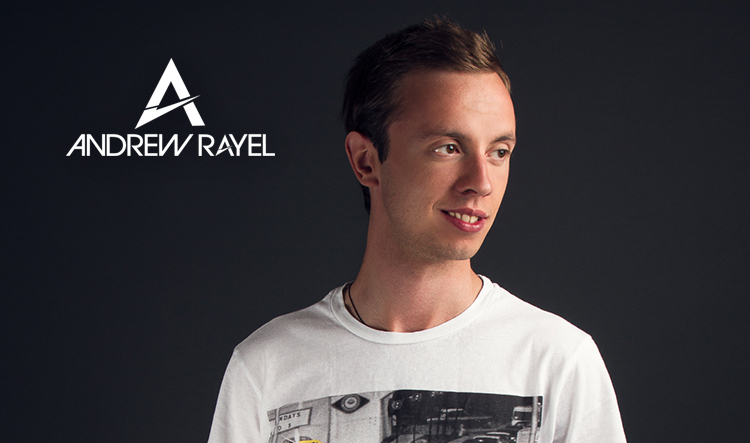 For more information about Andrew Rayel, visit http://www.andrewrayel.com. 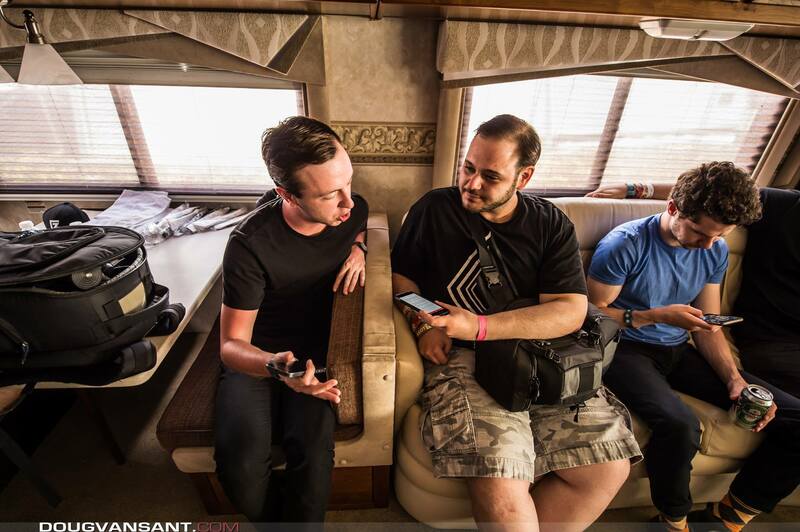 Follow Andrew Rayel on Facebook, Twitter, Instagram.